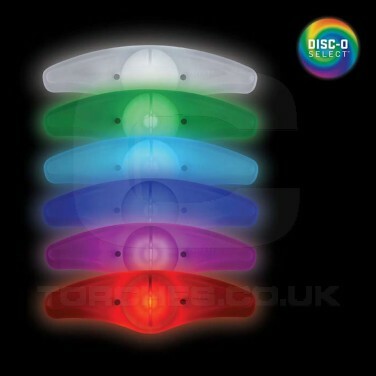 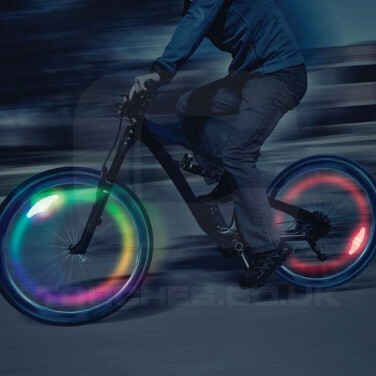 Clip a Spokelit Disc-O Select onto your bike wheel spokes and create colourful revolutions of light every time you ride! 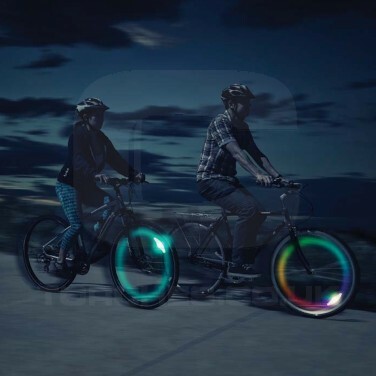 Choose from colour change or static colour functions and see your wheels create colourful circles of light when you cycle at night for incredible effects! 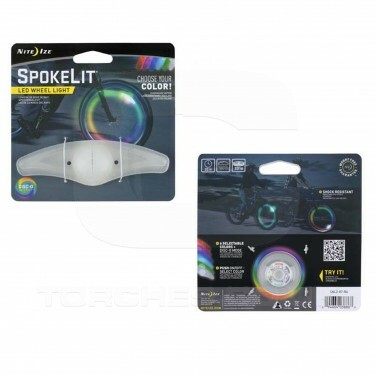 Clip onto the spokes of standard 3 spoke cross patterned wheels and the Spokelit will sit snug inside your spokes as the wheel turns. 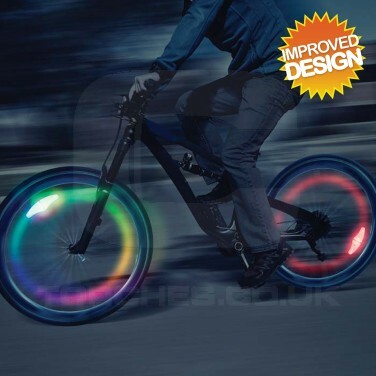 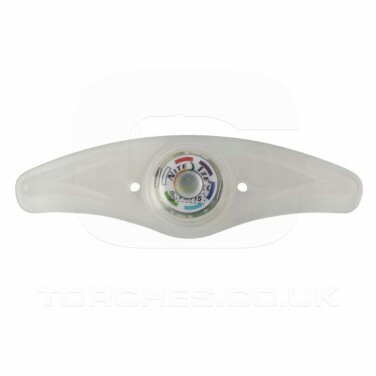 Press to activate and the colour change mode will start, then press again to hold on your favourite colour giving you the ultimate bike wheel light!